The TSR-15 National Match was designed with match shooters in mind. Our National Match model is built around our 17.3″ TRACK 2.0 barrel with A 1/7 twist allowing the end user to make accurate shots out to 800 meters. 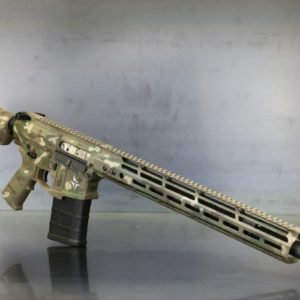 With a serial number matched billet upper and lower receiver set with ambidextrous controls throughout, along with Geissele National Match trigger, enhanced NP3 BCG, and enhanced springs standard. All of our firearms are hand fitted to ensure the firearm is well balanced, with superior recoil management, increased longevity, extreme reliability, and capable of SUB-MOA accuracy at greater distances. 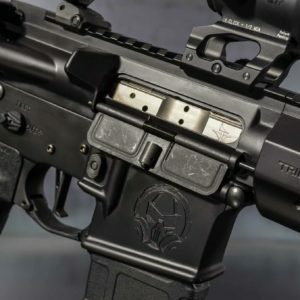 The TSR-15 National Match is designed for the end user that wants the highest quality rifle without compromise, ready for their next match, and capable of getting on target fast and accurately.